5 Innovative Indian Wedding Colour Themes of 2016, We Bet You Haven’t Seen! While we scroll through our daily dose of wedding inspiration on Facebook, Instagram and Pinterest, we couldn’t help but notice these unconventional, yet gorgeous wedding colour themes that are oh-so-doable. It’s all in the details, we say! Pick a combination of your favourite colour themes and match your entire wedding to it – from drapes to décor, from table settings to favours and wedding cakes too. 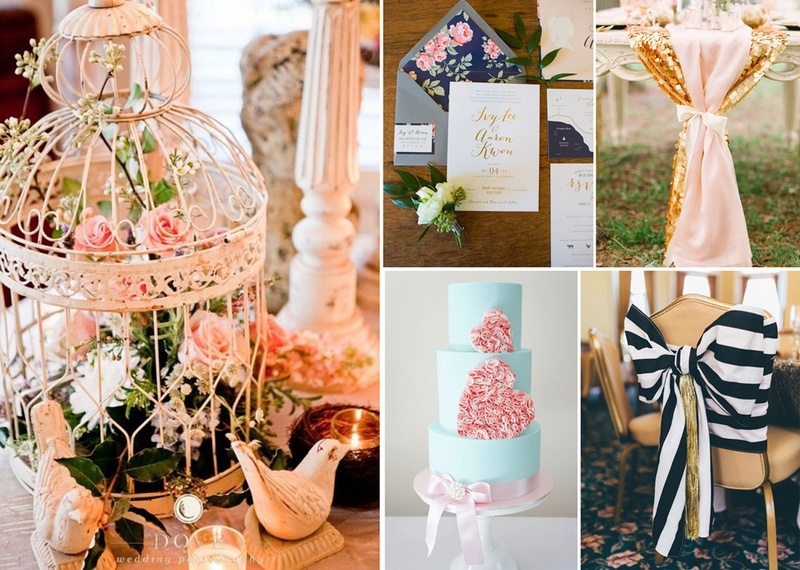 Use these unique, new and fresh wedding colour themes to have a wedding that your guests won’t stop tweeting about! For the couple who is old school, listens to the Bee Gees and likes their hair swept back. For that grand Great Gatsby feel, where every element of your décor, table settings as well as your wedding drapes are sharp, chic and classy – this monochrome theme is for you. Two extreme hues in the spectrum of colours, yet they complement each other so perfectly. Incorporate a hue of gold, silver or a contrasting pink to add a bit of 2016 to your well defined two-tone black and white wedding décor theme. For that contemporary chic couple, who loves the summer and revels in all things sophisticated. This combination of navy blue and blush is sure to make your wedding guests Instagram every part of it! The best feature of this navy and blush combination is that it gives your to incorporate the floral prints or bold stripes or even chevron to it. For the young, fresh crazy-in-love couple whose life if defined by vibrant blues and mint greens. Perfect for an outdoor summer wedding under the bright blue sky where these hues will look their greatest. Incorporation of coloured glass bottles, triangular cut flags, mint refreshers and summer wedding flowers like chrysanthemums, carnations and roses are bound to make your wedding look young, fresh and vibrant. If you’re flower crazy, your wedding décor is one such area where you should let your imagination run wild! Purple speaks of royalty while pink represents compassion and love – three elements that any wedding is incomplete without. While whipping up a pink and purple themed wedding, go all out on the floral décor and mix it up with crystals to add a touch of zing to it. Opt for flowers like lavender, orchids pink hydrangeas and roses for a good mix. For the contemporary-chic bride and groom whose rose gold iphone is their first inspiration. Tones of beige and sage green play as undertones in this color combination but bold shimmers and golds dominate. Sequined table runners, dull gold painted DIY bottles, pink sangrias and vintage glass lamps and table décor – Rose gold and glitter will have all of your guests swooning the moment they set their eyes on your wedding!